Desde Cali (Colombia) Oscar Joy nos presenta su nuevo tema, DE TAL MANERA, tema con mucho latin & Tech House. En esta canción tenemos un coro de Afroson Pentecostal. debido a los derechos de autor. Si desea obtenerla de manera gratuita. This is Oscar Joy most recent production of Ep. 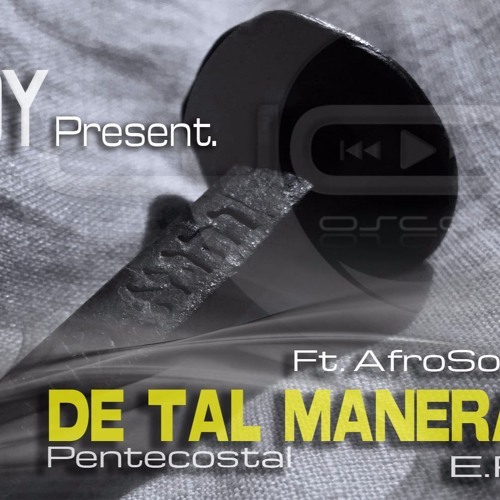 In this song we have a Pentecostal Afroson choir. This song De so Manera by Oscar Joy, is not authorized for sale not marketing due to copyright. If you want to get it for free.